The 2nd Annual Koinonia Institute Conference was held at the Coeur d’Alene Resort November 9th and 10th and was even better than the year before! This year we included a special pre-conference gathering on November 8th, exclusively for our KI students, at our K-House Auditorium. They were treated to a private session with our featured conference speaker, Dr. Jerome Corsi. Dr. Corsi’s presentation for this exclusive group dealt with his current best-seller, The Late Great USA. Following the presentation, our students were treated to a lively question-and-answer session that went well into the night. Earlier that afternoon, our KI students were also invited to sit in the studio while our good friend Avi Lipkin taped his strategic perspective on what is happening in modern-day Turkey. 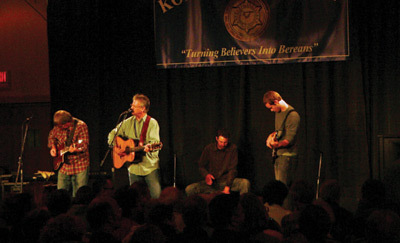 On Friday night, at the opening of our General Session, our good friend Richie Furay and his band opened with worship and continued to lead worship several times throughout the weekend. 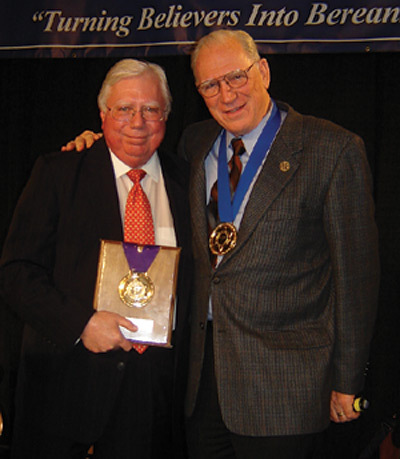 Our two evening speakers were Dr. Jerome Corsi and Joseph Farah, the founder of World Net Daily. Dr. Corsi led off with his presentation concerning the current status of “Atomic Iran.” Then, Joseph Farah rounded out the evening with a candid look at the political landscape, as well as an evaluation on the condition of the Church today. All the sessions were emceed by Chuck Missler and Dan Stolebarger. On Saturday, we were blessed to have a surprise visit from Dr. Tim LaHaye. Dr. LaHaye became a late addition to our speakers’ lineup and spoke concerning the value of preaching prophecy. We were truly blessed to have this modern-day “Father of Pre-Trib Prophecy” grace our platform. 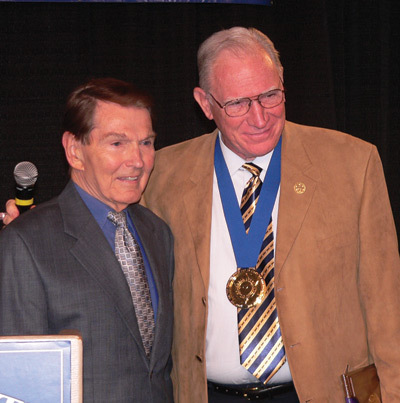 Chuck was pleased to present both Dr. LaHaye and Dr. Corsi with honorary Gold Medallions. John Loeffler was again inspiring with a penetrating and provocative presentation of “The Three Legs of Society,” using clever visual aids to keep the three legs organized. 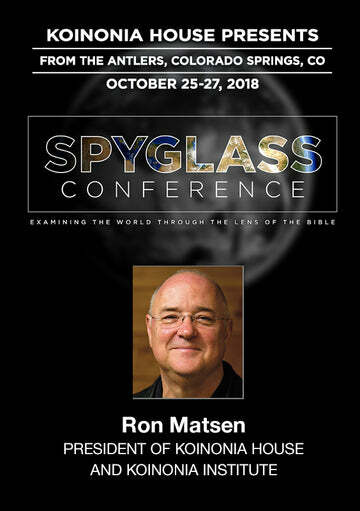 Following our lunch break, we were honored to have our KI European Representative, Ron Matsen, from Portsmouth, England, give us a perspective of what is taking place in England (as well as the entire EU) in what is being referred to as “Eurabia,” the widespread Islamization of Europe. Chuck Missler rounded out the afternoon program by sharing the vision of Koinonia Institute. Before breaking for dinner, Chuck and Dan gave out four earned Bronze Medallions to Sally Ilko, Mark Allen Atterson, Susan Wakeman, and Ingrid Ashcom. Special achievement awards were given to Ken Kotoski, Mary Miller, Peggy Buzby and Veronica DeRue. 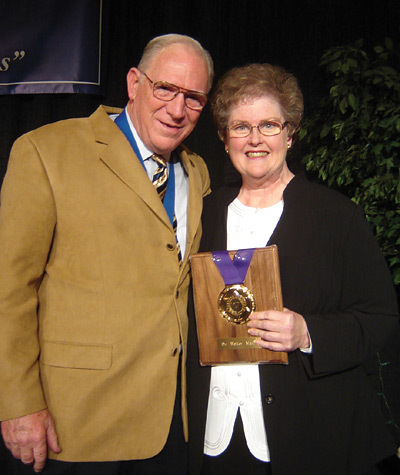 And, in a touching tribute to one of his most inspiring mentors, Chuck awarded a posthumous Gold Medallion to Dr. Walter Martin, presented to his widow, Darlene. On Sunday morning we ended the weekend with our traditional Breakfast Cruise on Lake Coeur d’Alene. One thing that was noticeable this year was that besides the amazing presentations of all of our speakers, there was an overflow of true “koinonia” in the halls and restaurants with our growing student body. It is becoming clear that KI is a warm, caring fellowship of like-minded believers seeking to raise the bar and become more and more like the Lord we serve. And, a special note for all those who were unable to be in attendance: This year’s entire conference is available on the Koinonia House store.